Roof tops are a pleasant way of seeing a city's sky line. For tourists, enjoying the view of Milan's sunset with a drink in hands is the perfect holidays scenario. The Ceresio 7 is the best restaurant to make this dream come true. 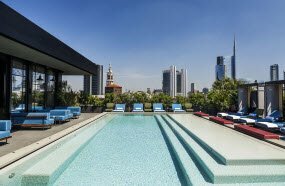 Their roof top area is carefully decorated and has beautiful pools, creating a fancy but relaxed atmosphere. Here you will find the richand beautiful, but be prepared to pay the price. And make sure you have a reservation. Food: The Mediterranean cuisine is served during lunch, dinner and brunch at the weekends. 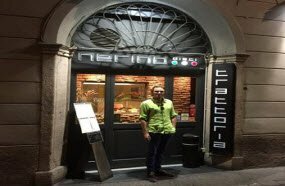 The Nerico Dieci is the restaurant for those who want to try some regional food and seafood. The Mediterranean cuisine is the high light of the menu, but the steak and the pasta are also famous, as well as the house wine. To make a reservation is necessary, although arriving a little bit earlier to try the luck is also a possibility. Eating like the locals is also eating some fast food. Milan is a big city and in normal people's daily life time is short. 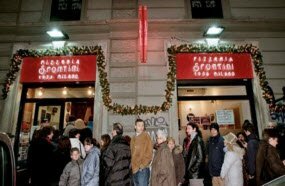 The Pizzeria Spontini is the place that represents the traditional fast food here. Founded in 1953, they have today more than 10 restaraunt sand are famous for serving just one pizza topping: Margherita. You can choose between the small and the big pieces and that it. For only serving one thing, they have mastered the art of making pizza with a thicker base, tomato souce and a lot of cheese. Fast and delicious! Food: Pizza, pizza and more pizza. 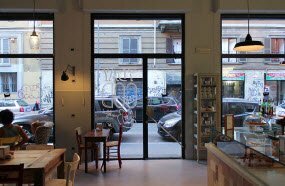 Located in the hear to Milan's Stazi one Centrale, Pavé is the place to come for break fast or for an afternoon coffee. . Deserts, pastries, croissants, cake sand a brioche that is said to be divine are in their menu. The coffee is Italian and will not disappoint you. Food: Their specialty is baking the most adorable and appetizing little cakes. Good music, delicious drinks and a fresh selection of aperitivos: that is the Bobino Club. The favorite of many locals, the club is be loved because it does not atract the sno by and rich. Young people fill the dance flor – which is not so big – and the atmosphere is ideal to party with a group of friends. Prices are not the cheapest, but nothing cost sanarmand a leg. 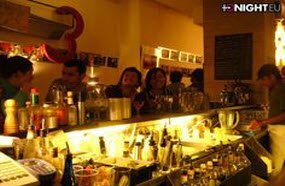 Special drinks: Drinks like mojito and martini are the locals choice. Rita is usually described by the Italians as the best cocktail in Milan. This bar looks fancy at a first glance, but the prices are quite regular. Things some times get quite busy here, specially on the weekends, so if you wanna go with a big group is recommended to do a reservation. If not, arriving early is also advised. As soon as you sit, check the aperitivos. They change of ten and chances are you may have a pleasant surprise with the food quality. The quality is also a virtue of the bart enders that now everything about mixinging redients and making the perfect drink. Special drinks: Their Moscow Mule and the Negroni are famous. In the mood of going where the fashion stars go? You have just found the place. 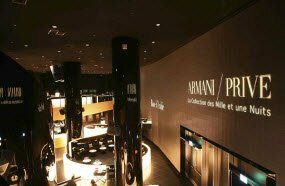 Designed by the one and only Giorgio Armani, this bar/club is fancy but no tarrogant. 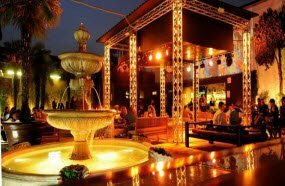 The service is reliable, the classic drinks are exqui site and the atmosphere is warmand exclusive. It is possible and sometimes advisable to book a table if you plan to eat dinner, which can be pricey, but not so much if you are in a group. Feel free to dance to sound of their be loved Djs. Special drinks: Cosmopolitan, Martini, Long Island. All the classics are in the menu.